How magical is it that a great movie always manages to get me out of a writing hiatus? 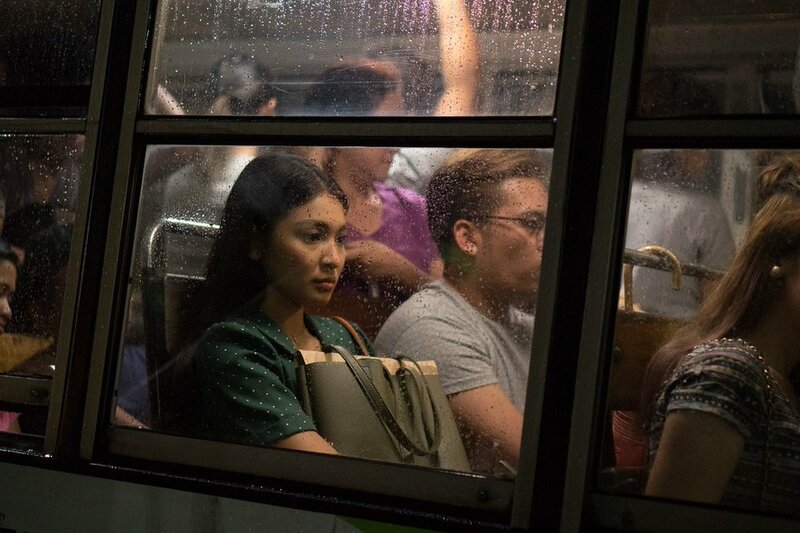 Ulan is the first film I watched this year, and by far my favorite, too (if that even counts, LOL, although seriously speaking, it feels like it will be my favorite throughout THE REST OF 2019!). AND IT’S ALL THANKS TO THAT One fine summer afternoon, WHEN my balikbayan cousin and I decided to step OUTSIDE THE sweltering, afternoon heat (think: summer in Manila at 3pm!) and watch Ulan (also think: the init-lamig SHIFT AS SOON AS YOU ENTER the air-conditioned mall, plus the super cold movie theater!!!). With a bag of sour cream fries on my hands (extra powder on my fingers), and a ripe mango shake on my seat's cup holder, I was ready to watch the film I had a strong hunch would be good (spoiler: I was right!). After all the trailers, piracy warnings, and fire exit reminders, the lights dimmed, and for a brief instant, I was briefly transported to past memories of the countless after-work dates I’ve had spent by my lonesome in the past, treating myself to a Filipino movie. In a pitch-black theater, always ready with a snack, and often with too few people and more empty seats, it was my quiet time, at once exciting and stress-relieving. I found joy in the full giving of myself to be taken into yet another world, another story, through the film. These are the life choices I never regret! Like raindrops slowly falling from the sky, Ulan starts with a steady pace, like a lola telling a bedtime story, and keeps at it well until the end of the film. Picturesque, dreamy, and full of otherworldly imagination, the movie felt like a children’s storybook coming to life. And as I always say about the movies I write about, it is always the grand coming together of pitch-perfect elements that leave me in awe. A heart-wrenching soundtrack is one (I'm listening to it as I write, by the way, and Janine Tenoso’s Ulan is a current favorite). Visuals (production design, color grading, editing, special effects, et cetera) are another. As an avid hater of rain, I admit to feeling the joy and playfulness that come with rain showers... especially the sudden ones that pour without warning, like a love that comes by unexpectedly. Through the rains, super typhoons, and floods, we are made to wade through the roller coaster life story of Maya, the 'kulang sa libog' writer who makes a lot of decisions based on her strong superstitious beliefs, all thanks to the kwentos of her lola who raised her. She goes through heartbreaks and floods of tears, a whirlwind romance with a so-called ‘prinsipe’, and a love that came unannounced. I was never such a huge fan of Nadine Lustre, but I really, really think she is a great actress and a great person (wuw). Watching her Ulan interviews, I see how she has grown so much in strength (feeling tita) and I admire how she has such a strong hold on herself. I love that you don’t see Nadine in the film, but you see Maya—and it only shows how effective an actress she is. 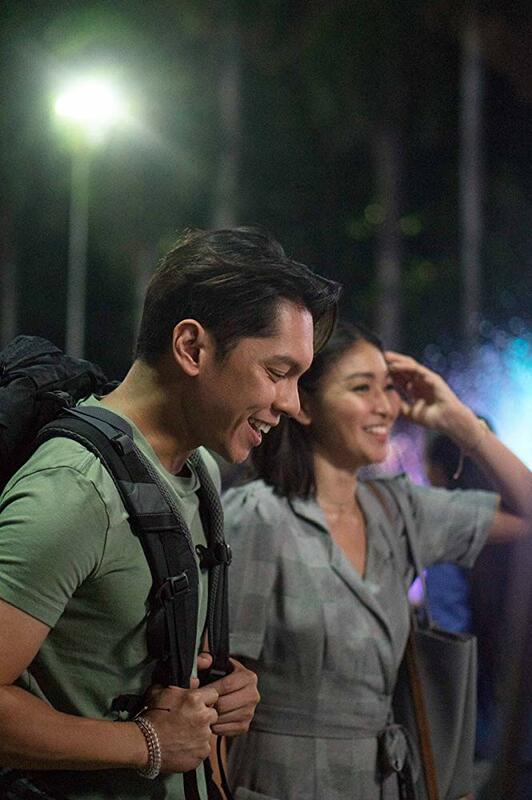 And for the record, despite the hype of Nadine being paired with a new leading man, Carlo Aquino, the tandem wasn’t at all pilit in the film. It wasn’t even the main attraction of the movie! There weren’t any annoying hugot lines, either, and the fantastical elements woven into the story weren’t awkward—everything simply felt so natural, flowing as smoothly as it should. What I loved most are the long silences, the scenes that felt like a fairy tale, and in the midst of it all you could also ‘hear’ the whispers of reality between the lines. My late film professor would always tell us, “show, don’t tell” and since then, I’ve always noticed the quiet emotion in the imperceptible gestures, the facial expressions, the still and eerie surroundings, the non-action. And Irene Villamor’s mystical Ulan had a lot of that. I’d like to think a many of us girls can relate to Maya, growing up in quite the same environment as hers, believing in the extravagant truths told to us as children and being conditioned to live according to superstitious beliefs—only to grow up and find out it isn’t all what it seemed to be. And yet the film ends quite pleasantly, with a closure, a reconciliation with the past, a peace-making. And it is the best ever. If Ulan is a Filipino fairy tale, I can assure you it’s one that comes with a realistic ending. PHOTOS VIA THE ULAN (2019) IMDB PAGE.